Today: Have no fear, cookies are here -- to save your gluten-free pie crust this Thanksgiving. I used to be scared of pie crust. It seems simple, but the mixture of flour, fat, and a little water can go terribly wrong. My first crust cracked all over, but I patched it together, deciding it was going to be purposefully “rustic.” When it came out of the oven, it looked like the pie equivalent of Charlie Brown’s Christmas tree -- sad and shrunken. It tasted equally pathetic. The crust was dense and chewy, not light and ethereal as the recipe had promised. I took one bite, and then slid the whole pie into the trash. After that failure, I decided I would conquer pie crust. I researched various methods and tricks, made many, many pies, and eventually baked a flaky crust. Just as I was getting the hang of it, I was diagnosed with a gluten intolerance. No more bread, no more pasta, and certainly no more pie. 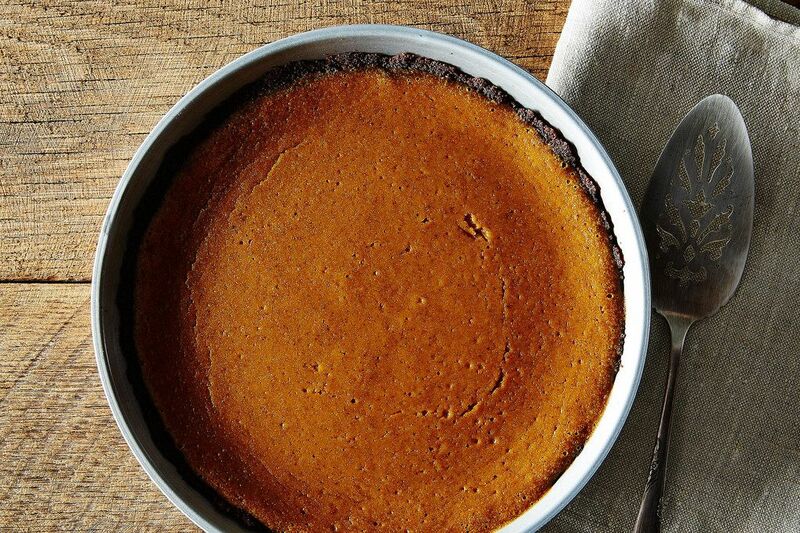 More: If you're gluten and dairy intolerant, we've got a pie crust for that, too. At first, I tried to make a gluten-free crust, substituting a flour blend for regular flour. It was even worse than my first pie crust, but I was determined to keep trying. Again, I researched and baked many pies, but without any success. One was so tough that it even broke my plastic pie cutter. Eating dessert should not be such a struggle. The problem is that pie crust, perhaps moreso than any other baked good, relies on gluten. It’s composed of layers of gluten and fat, which create that amazing flaky structure. Take away gluten, and you lose everything that is great about crust. Instead of trying to compete with gluten and churn out inferior crusts, I decided to just work around it. I created a simple cookie crust using gluten-free gingersnaps, which taste pretty similar to regular ones. I particularly like the Mi-Del and Trader Joes versions, as they have a nice texture and spice level. To make the crust, simply grind the cookies in a food processor until you have cookie dust. Dump the cookie dust into a bowl, mix in some melted butter, and you have your crust. 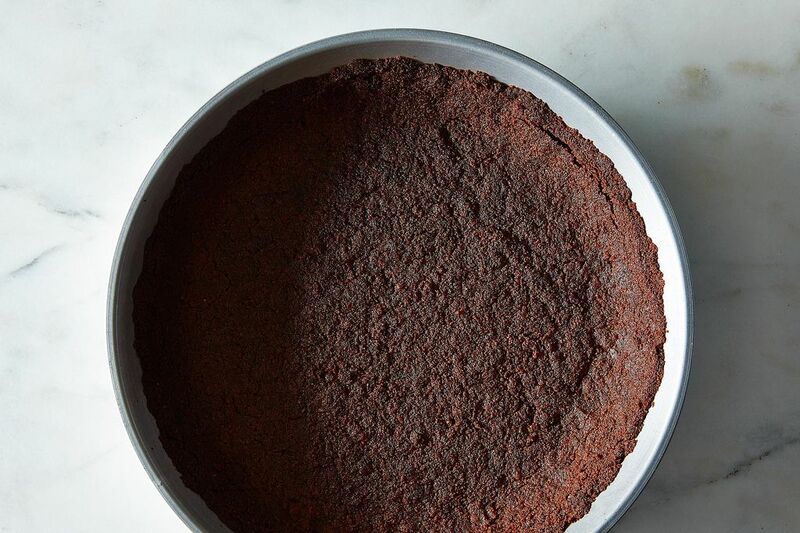 Then, all you have to do is press it into a pie plate, bake it for a few minutes, and -- ta-da! -- perfect crust! More: While you're at it, try one of these other nontraditional pie crusts. A crumb crust is not as sturdy, so it doesn’t hold up well in fruit pies. 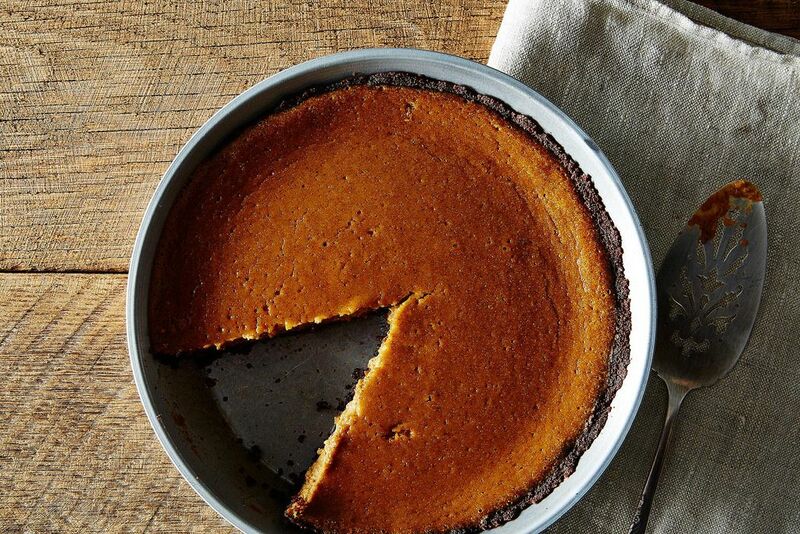 It’s best for creamier pies and is particularly perfect for pumpkin pie. The gingersnaps highlight the filling's fall spices, and the crunchy cookies are a great contrast to the smooth filling. To counter pumpkin pie's typical sweetness, I’ve added bourbon and sour cream to the filling. It’s rich, tangy, and just the thing for your Thanksgiving table. Love me some boozy desserts, so I made this for Thanksgiving. I used regular gingersnaps (not gluten-free) and my crust essentially melted when I baked it. Maybe it was too much butter for the cookies I used. I re-pressed the crust up the sides of the pan and let it cool slightly before pouring the filling in, but I probably should have let it cool a little more because as I poured the filling in, I could see bits and pieces of the crust floating up. When it was all baked, it looked great, and tasted good. The parts of the crust that did hold together were crunchy and delicious. There was only 1 piece left (in a room of 40 people with 10 other desserts to try). I think I would have liked the pie itself a little sweeter (maybe the pumpkin I used wasn't sweet enough) but overall it was easy to make and despite the mistakes it looked and tasted good. Unless you use a 100% corn mash bourbon, why go with a gluten free crust? Does the cooking nullify the bourbon or is it simply a negligible amount? I ask because my girlfriend and I have a split household--she has celiacs--and I love bourbon, so this would be a great compromise. There's some debate about whether bourbon is safe for celiacs, so I would recommend using a 100% corn mash one if your girlfriend's family is very sensitive. You can also leave the bourbon out, but it sounds like that wouldn't be ideal for you!